Have you met my friend Betty? She is such a sweetheart. Does most of my work for me when it comes to these cookies. She knows I hate to measure dry ingredients so she does it for me. I adore her. Yes. I have a blue bird on my wrist. My fireman and I got matching ones a little while ago. More on that later. Back to the cookies! Pre-heat your oven to the package directions. 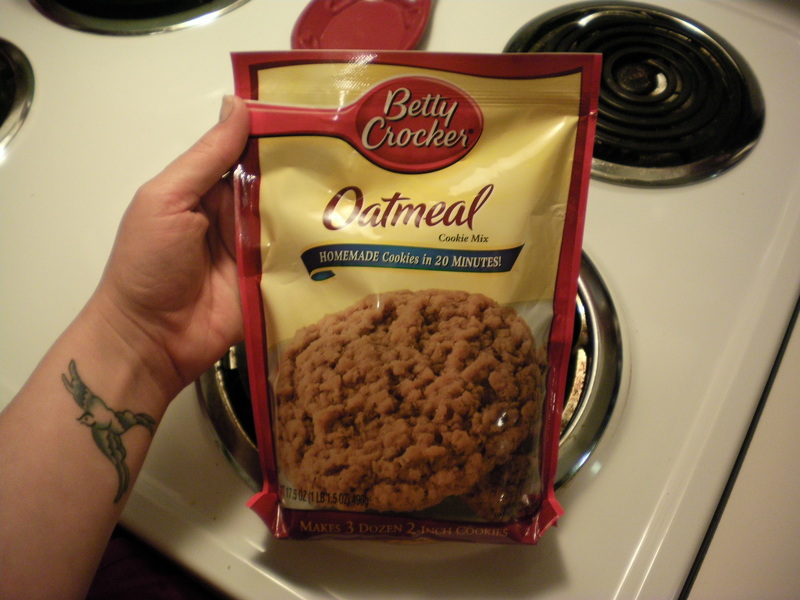 Combine the cookie mix, water, eggs, and butter in a large mixing bowl. 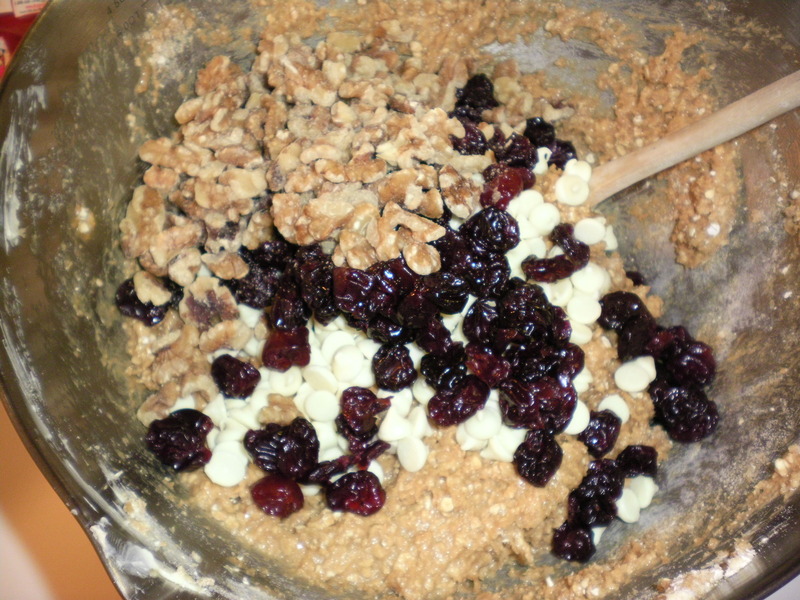 Once this is well combined, add the cherries, walnuts, and white chocolate chips to the mix. How much you add of each is really up to you. 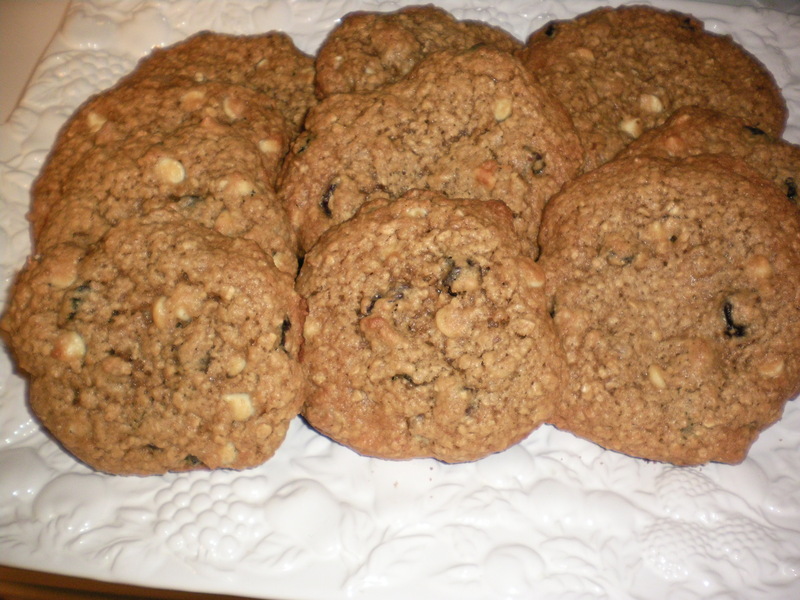 I probably added about a cup of white chocolate chips, a cup of dried cherries and a half a cup of walnuts give or take. I just refuse to measure most of the time. I’m a rebel. 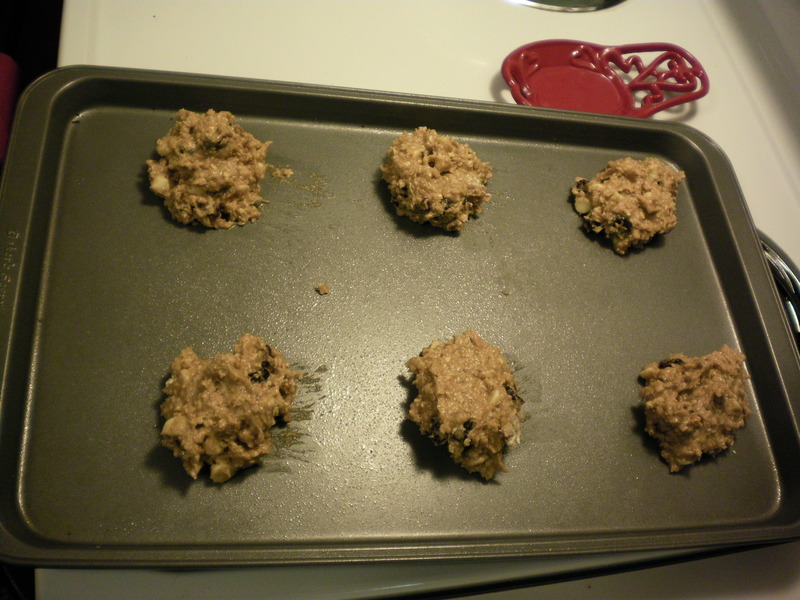 Once you have the goodies all mixed in, you should grab a tablespoon from your silverware drawer and put heaping scoops of dough on your cookie sheet. You need to make these cookies way bigger than you normally would. 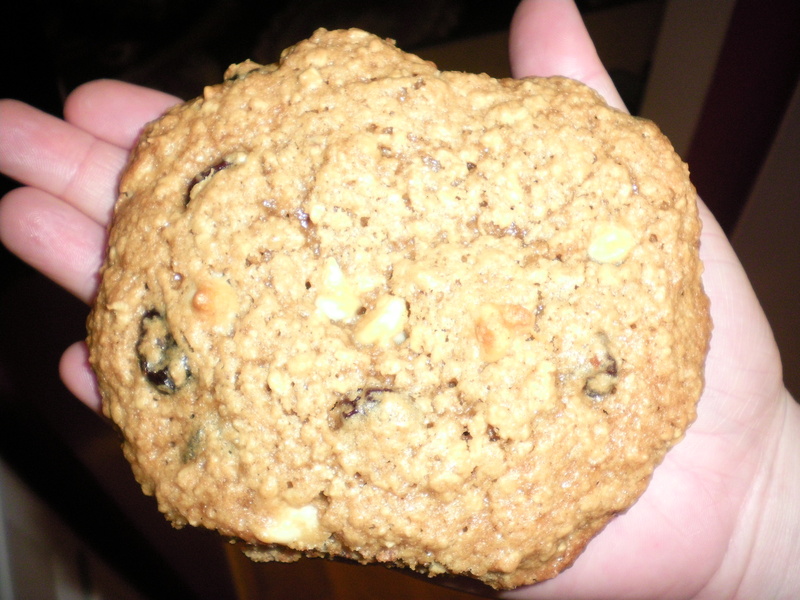 They have to be really big because there’s so much extra stuff in them and if you make them small there won’t be enough cookie to go around the goodies. You will probably want to bake these for anywhere from 12-14 minutes. Keep an eye on them and pull them out when they are nicely browned and you can smell them strongly. Yum! These cookies are so huge that you could split one and still be stuffed. I know that you will love them. Just one more shot of how giant these really are….. Thanks for stopping by! I hope to see you back real soon.